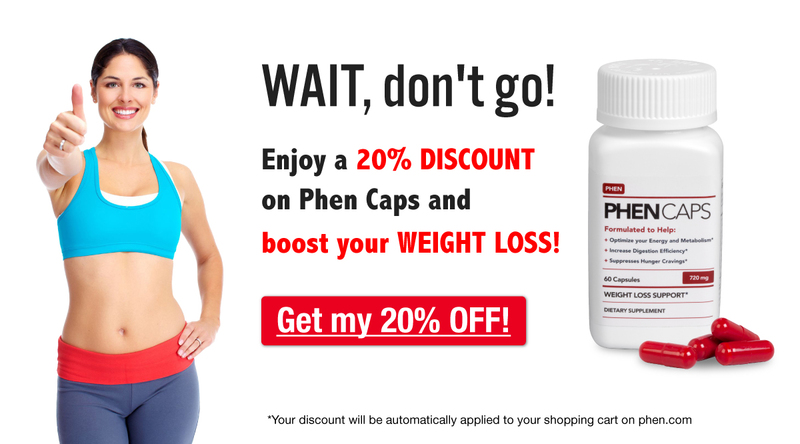 Taking phentermine is a great way to get your weight loss moving as the appetite-suppressing effects will help you to eat less. But, you can give your body a helping hand to fight fat on phentermine by choosing the right foods, rather than just cutting down on calories. Good foods for weight loss are those which help keep you feeling fuller for longer, help build muscle, and keep your body healthy and efficient at burning calories. Here we have ten foods which you should try to incorporate more into your daily diet to help fight fat on phentermine for even more weight loss! Baked potatoes get a bad rap but they’re actually a pretty healthy comfort food. However, your toppings game can ruin the whole thing if you’re loading up with butter, sour cream, cheese and bacon bits. One way to avoid this is to substitute a standard potato for a sweet potato. Baked sweet potatoes are so full of flavor that they’re delicious with a drizzle of olive oil, which can save you lots of calories, therefore helping you to fight fat on phentermine. As a bonus, sweet potatoes are packed with important weight loss nutrients such as vitamin C, beta carotene, and potassium, as well as plenty of fiber to keep you feeling full. Greek yogurt has twice as much protein as other yogurts so it takes longer to leave your stomach, keeping you satisfied and helping to stop cravings. Choose non-fat, low-sugar Greek yogurt where possible to keep the calories and sugar content down. If you’re looking for a healthy snack which also helps you to fight fat on phentermine then grab a handful of nuts; their high protein content makes them an excellent way to curb hunger between meals, and they’re high in fiber and heart-healthy omega 3 fatty acids. But, nuts are also high in calories so be sure to watch your portions, or go for nuts in their shells to slow you down so you don’t eat as many. This has been on many a healthy-eater’s radar for a while, but now it’s more widely available in stores, we’re all getting to realize how easy, quick and healthy quinoa is. This whole grain has 8 grams of hunger-busting protein and 5 grams of fiber in one cup, and you’ll also get weight-loss boosting nutrients like iron, zinc, selenium, and vitamin E too. Quinoa is as easy to cook as rice; simply stir in some vegetables or lean protein to make an easy, healthy meal to keep you full for longer and help fight fat on phentermine. Eggs are on every list of the greatest foods ever, and it’s no exception when it comes to choosing a food that fights fat. In fact, egg yolks contain a nutrient called choline which does actually help to reduce fat in the body, so eggs really do deserve their superfood credentials. They’re also full of protein and a variety of nutrients to keep your body working at its best to boost your metabolism and fight fat on phentermine. When you’re in the mood for chips and dip, replace the chips with raw veggies to satisfy your desire to crunch. Raw veggies are low in calories and have a high water content to help keep you full. Spoon a little peanut butter on celery to add protein and healthy fats, up your fiber intake with some peppers dipped into a little hummus, or spice up your carrots with by dunking them in some homemade salsa. Skimmed milk is a great source of protein, meaning that it keeps you feeling full for longer, and all with none of the fat found in whole milk. Milk has also been found to be a great post exercise recovery drink – even better than specially designed sports drinks, as it has been found to provide better re-hydration. As well as this, the protein in the milk is great for aiding our muscles recovery post work out and the calcium helps to boost fat burn and keep our bones strong. Fish won the top spot in our countdown of the least calorific high-protein foods, meaning it keeps you full and helps fight fat on phentermine with fewer calories. The best sources of fish are oily fish such as salmon, herring and tuna as they contain omega 3 fatty acids which help to prevent heart disease and other chronic conditions while also helping to reduce bloating and boost fat burn, meaning more weight loss with phentermine. A savor for vegetarians looking to bulk up their meals, beans keep you feeling full with their fiber and protein content, meaning more fat burn for your buck. They’re also super versatile and easy to turn into a tasty and healthy dish – just lightly fry some veggies in olive oil, maybe crack an egg or two in there and add some garbanzo beans, pinto beans or black beans and a little seasoning and you’ve got yourself a meal! Oatmeal is the perfect warming breakfast for those cold winter mornings to come, and its combination of water and fiber-rich whole grain oats will keep you feeling full for hours – helping your body fight fat on phentermine. Avoid the packaged super-sugary oatmeal though, and instead cook your own steel-rolled oats with a stir of nutmeg or weight-loss boosting cinnamon to satisfy your sweet tooth. Do you regularly eat these fat-fighting foods? Let us know if you have any diet tips of your own by commenting below! I started phentermine yesterday 10/01/15 and yesterday I had real bad heartburn and last night I had a heavy feeling in the bottom of my stomach. and I tossed and turned all night, today I feel ok just tired. I see that tuna in the can is recommended often, should I get the tuna in water or in oil? Tuna in spring water generally has the fewest calories so this is often recommended by diets. However, the good fats in olive oil can help to fight fat too, so this is another good option, and personally I prefer the taste. Tuna in olive oil is also really great for adding to a salad as you can add the tuna and use the olive oil as a dressing – this is a good tip if you take a salad to work with you.